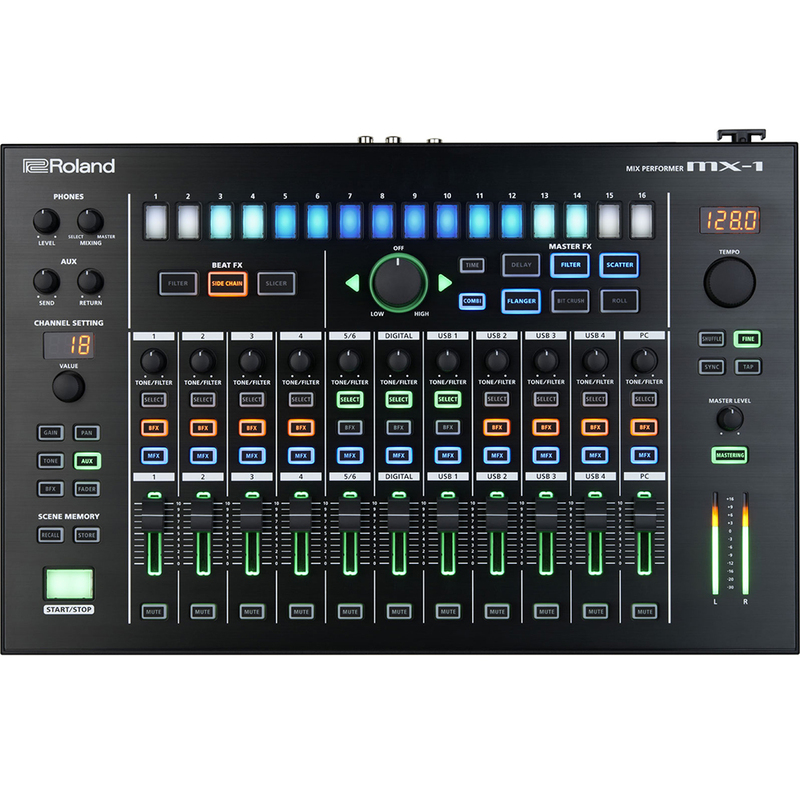 The Roland MX-1 is an 18 channel performance mixer that’s designed to be the nerve-centre of your electronic music rig. It features step-sequenced FX, transport and tempo control. There are three kinds of step-sequenced Beat FX: Filter, Side Chain and Slicer; as well as six kinds of Master FX (48 variations) with a large performance control knob. The Beat FX and Master FX can be applied to any or all inputs; Beat FX are per channel. Combi mode rhythmically alternates the Master FX using the step-sequencer. There are four AIRA Link USB ports that support audio, MIDI, sync, and bus power (on Port 3) for AIRA gear. The MX-1 can operate in three different modes, with or without a computer. 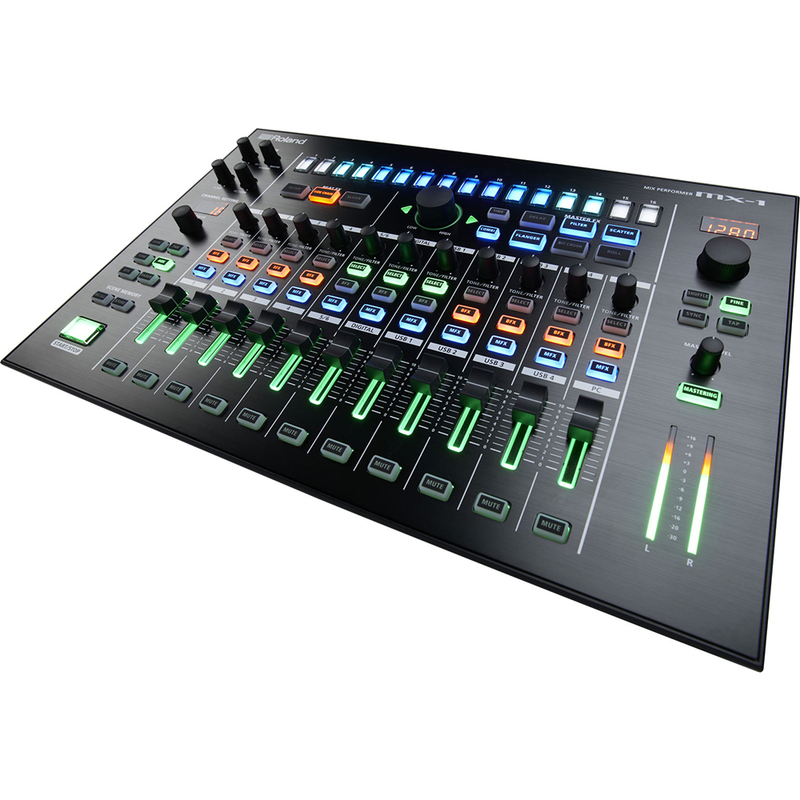 Mix mode provides six analogue, one digital (stereo), four AIRA (stereo), and two PC channels through mixer and FX. You can also send computer audio to USB channels 1 thru 4 if no device is connected to the AIRA Link USB ports. 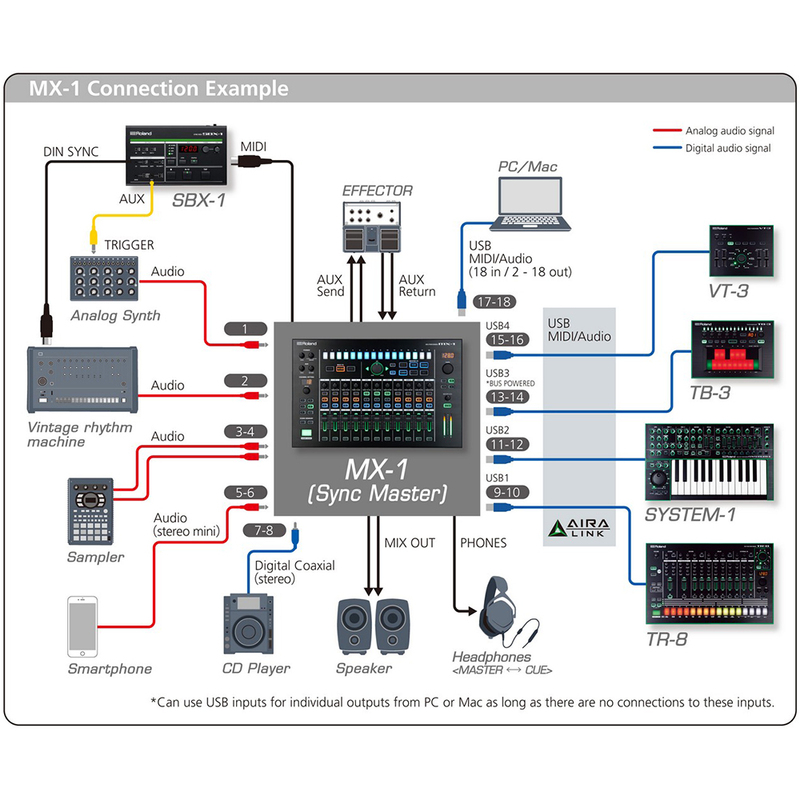 External mode provides 18 channels from your DAW through mixer and FX (all inputs direct to DAW), which enables you to use the MX-1 as a high-quality audio interface. Surface mode allows the MX-1 to sync to your computer and act as a high-quality MIDI controller for your DAW. 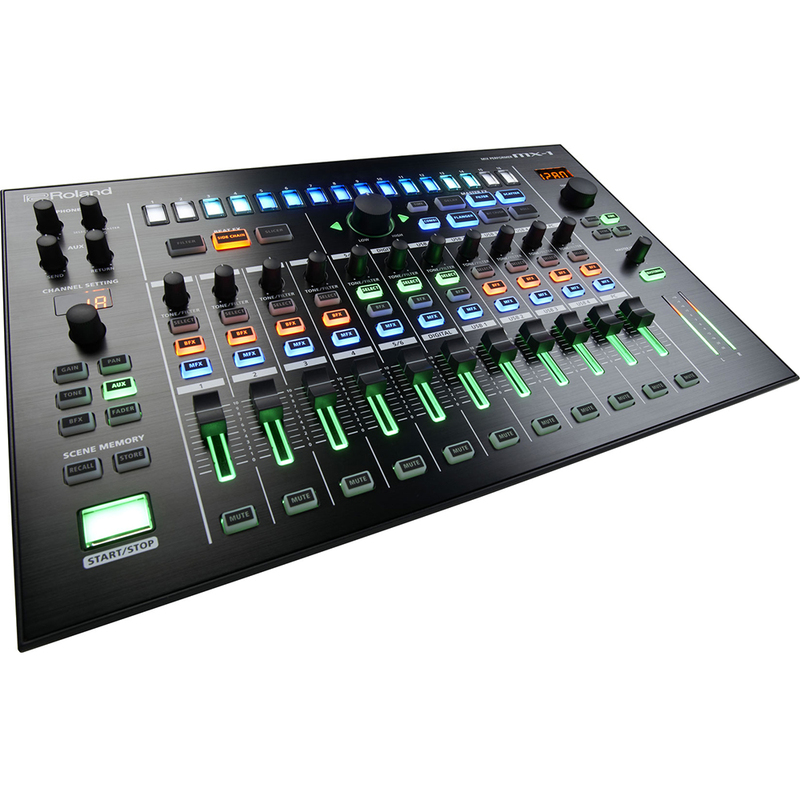 The MX-1 also features DJ-style cue monitoring, quick mutes, and six fader curves per channel. Each channel has a Tone/Filter knob, as well as ten kinds of EQs, filters, and isolators. In addition, the transport and tempo controls feature fine, shuffle, and tap-tempo functions. You can instantly save and recall complete setups including all FX configurations. The MX-1 is sturdily built and highly capable, with design features that make it a simple, fast and flexible piece of equipment to use.